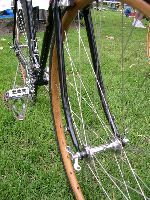 This bicycle, Dei's top of the line road model from 1925-1940, was found in Placenza, Italy, in complete but poor condition. 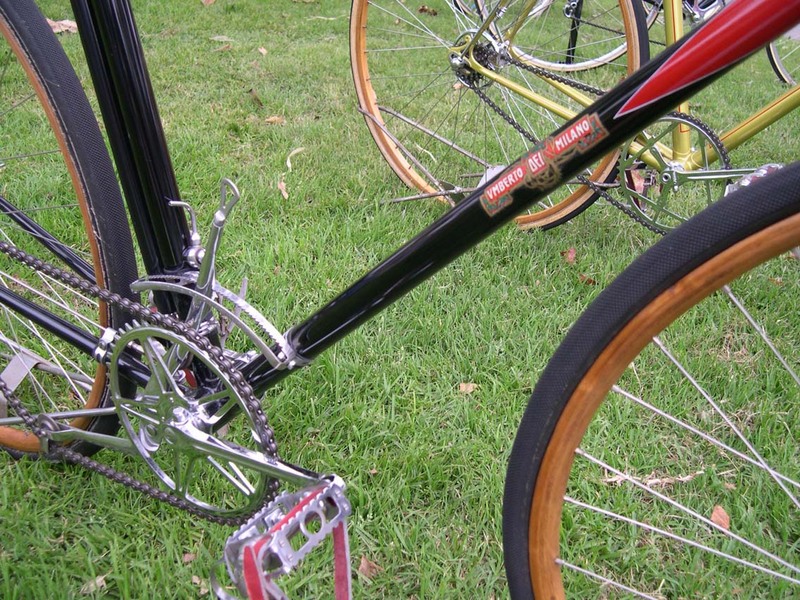 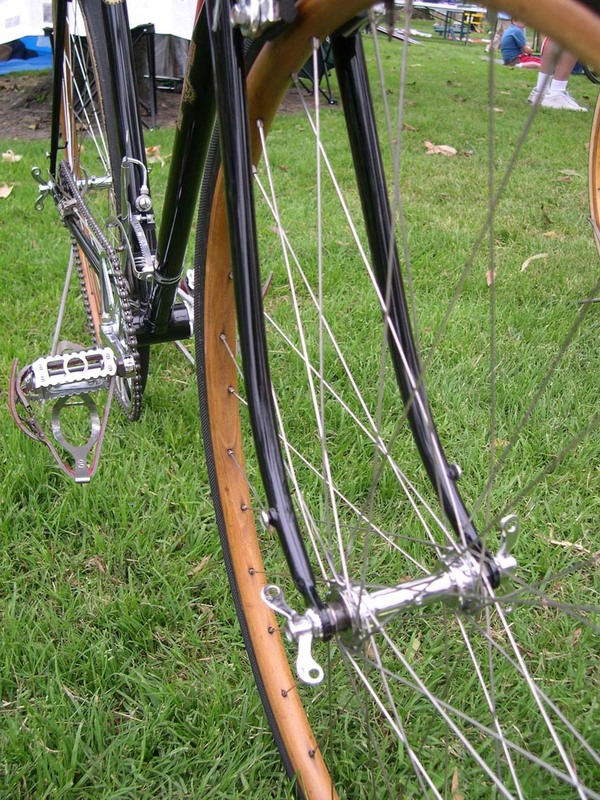 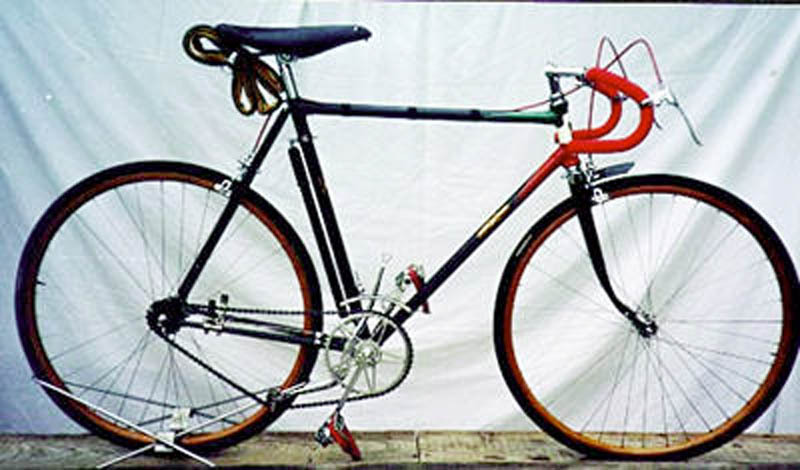 Based on information from the grandson of one of Dei's major Italian distributors from the mid-1930s - 50s, it was restored to "as new" condition including Dei's trademark black paint with "tricolore" headtube treatment. Crankset: engraved "U. Dei Milano"
The chainwheel appears to be a Magistroni-pattern, and it's probably safe to assume that the cranks are of Magistroni manufacture as well. 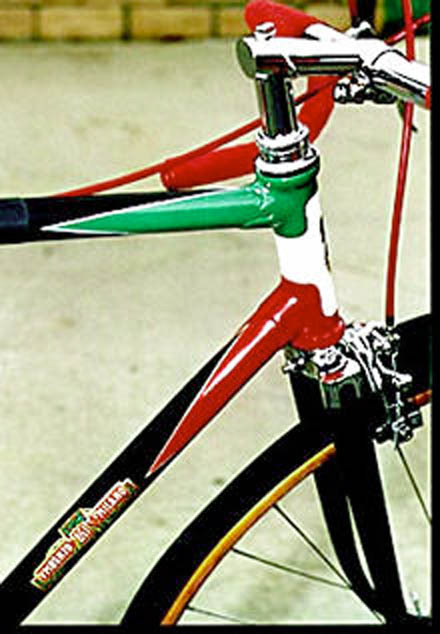 Here you can see the classic Dei "tricolore" headtube treatment - while not present on all Deis, this is a trademark paint scheme. 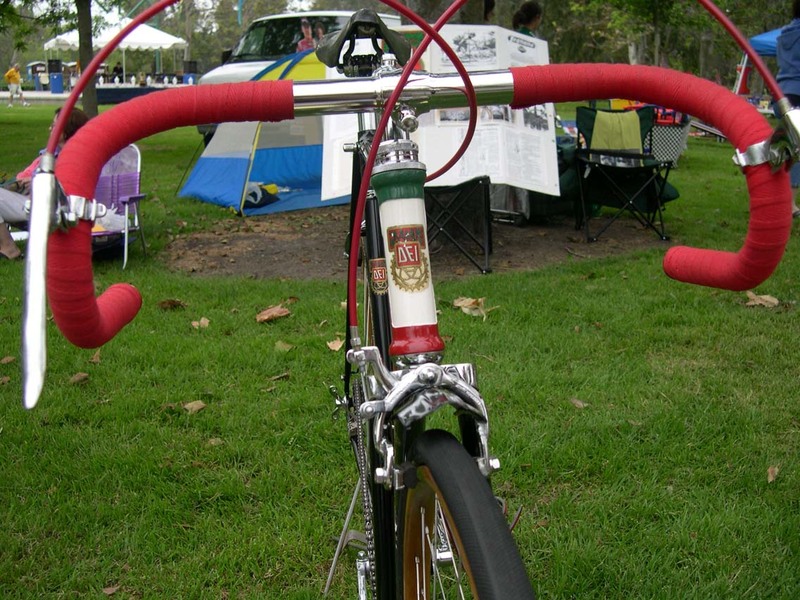 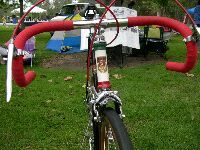 You can also get a fairly good glimpse of the downtube "Umberto Dei Milano" decal as well in this shot, along with the integrated headset common to bikes of the period (now becoming popular again, 80 years later...). 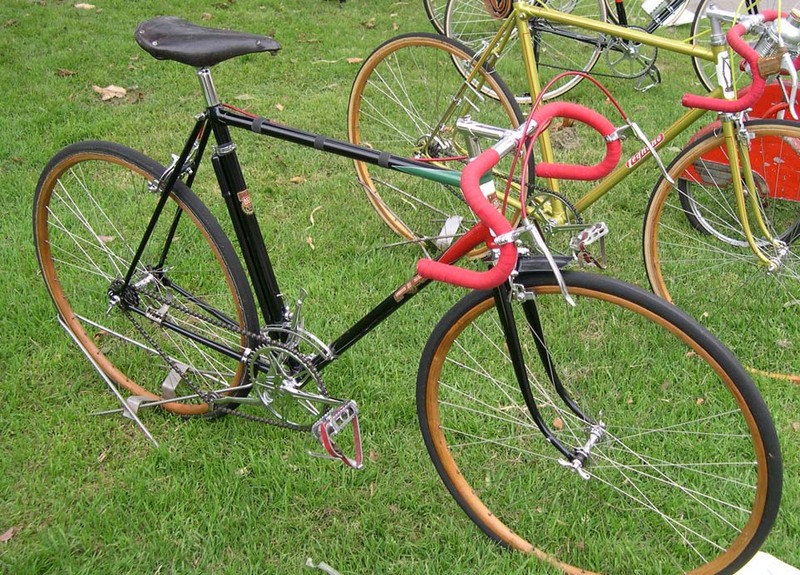 Thanks to Alex Clarke for pictures of and information on this bike.